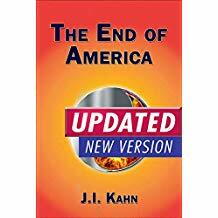 The End Of America | WHAT IS THE HOLY BIBLE ALL ABOUT IN A GLANCE? 66 Independent Books– history, poetry, prophecy, wisdom literature, letters. 1 Common Story Line – the creation, fall, and redemption of God’s people; a common theme — God’s universal love for all of humanity; and a common message that salvation is available to all who repent of their sins and commit to following Jesus with all of their heart, soul, mind and strength.